My worse gluten-free experience ever! celiac! About which restaurant do I talk? Restaurant de Roode leeuw. About a year ago, I walked into this restaurant with my mom and grandma. that she was really ashamed. for ages when I could finally start my meal. course the big thing already happened: I got glutened. (huge) mistake two times, but even don’t apologize. celiac visiting Amsterdam and you want to get sick as hell 😉 ? Go to de Roode Leeuw. Otherwise, stay away from this restaurant. Mijn slechtste glutenvrije ervaring ooit! restaurant heb ik het? 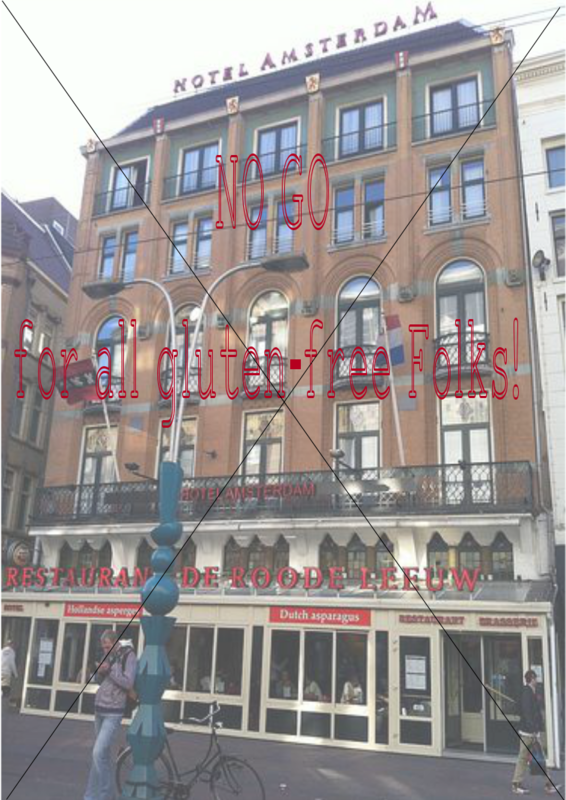 Over restaurant de Roode Leeuw op het damrak..
het eerste wat ik vroeg toen ik binnen kwam of ze iets glutenvrij konden maken. salade werd teruggestuurd. Even later kreeg ik weer een salade voor mijn neus. Ik begon te eten en tot mijn grote schrik zag ik er stukken crouton inzitten. het Engels mooi zeggen: I got glutened. 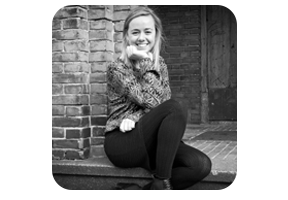 mijn volgende blog zal weer over een goede en positieve ervaring gaan. Tot die tijd: spread the word! 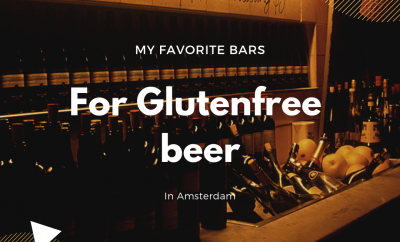 ← Previous Story Best places for gluten-free beer in Amsterdam! That’s a nice website you have! Well done and useful. I m sorry to read about your bad experience in this restaurant. 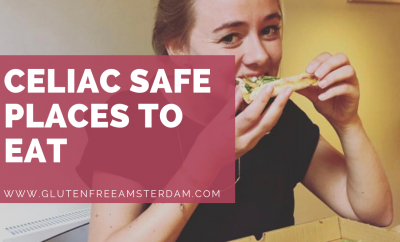 Unfortunately, in my opinion, Amsterdam is far behind many European capitals with regards to being ready for people with food intolerance. I have just came back from Valencia and Ibiza in Spain (so not even the capital) and I was impressed of how well prepared their restaurants/cafes and their staff are, with regards to information about allergens in their products. Everywhere you go there you find a menu indicating the allergens in their food and their staff are all very serious about clarifying any doubt you may have. Here unfortunately we still have a long way to go. 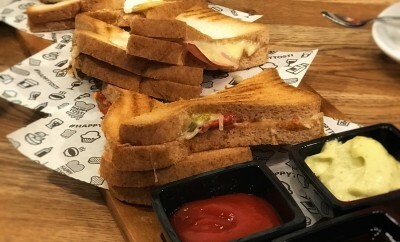 Specially in terms of awareness of restaurant owners and horeca staff of how this is serious to avoid situations as you experienced with the croutons. Yesterday for instance I went to this sort of hype place in de pijp, that promotes their healthy food but I got disappointed on how they treat the food allergy issue. Nothing in their menu indicates information about food allergy so you need to ask for a separate chart that they created to indicate allergens. The staff may give you the wrong chart (for a different menu) and the chart itself may be confusing to interpretate as it does not have all the dishes listed in the menu and have contradicting information in its columns. But the worst to me it’s the attitude. Maybe it’s only the 2 of us in this city looking for gluten free options, but everyone’s in that healthy restaurant looked at me as I am the annoying client asking for extra information about something they actually don’t have any sympathy for. Basically restaurants are still treating info about food allergy as a thick-the-box exercise.